And then I tell them about Love Notes and a smile forms across their face and they want to hear more. I always get a little bit shy talking about the project. Thinking that people aren’t going to understand it. That they will think it is a bit crazy. I mean who really writes letters to one another nowadays? But once I let down my guard and open up I see that individuals are intrigued. When I start to explain how it works a smile forms across their face and they want to learn more. Because here’s the thing; we are all longing for connection. No matter who you are we all want others to see us. To hear what we have to say. And that is what the Love Notes Postcard Project is all about. It provides an opportunity to let down your guard and open up. A space where you can show up exactly as you are and share your heart with a stranger. An opportunity to connect in a way that we have almost forgotten about; through handwriting and patience. It is not just about sending out a postcard. It is about showing up for yourself and for someone else. What amazes me most is the way this simple interaction can open up the door to connection and lead to lifelong friendship. When I started this project it wasn’t even something I imagined would happen. But what I have learned is that when you genuinely show up in the world others do the same and organically a community of amazing individuals forms and you don’t know what your life was like before. I am grateful for Love Notes. Grateful for the people who have shown up and taken a chance on it. Writing to a stranger can be intimidating but these individuals have jumped in with two feet and pour their heart into what they do. I would love for your to join us. Head on over to the Love Notes Facebook group to get a taste for the amazing individuals that choose to show up. This free project is only 3 weeks long which makes it attainable for anyone to participate in. and one open heart, and you are good to go. I provide you a partner to write to and writing prompts to help you begin. It really is that simple. What do you say? Are you willing to show up and take a chance? You never know what is possible until you try. 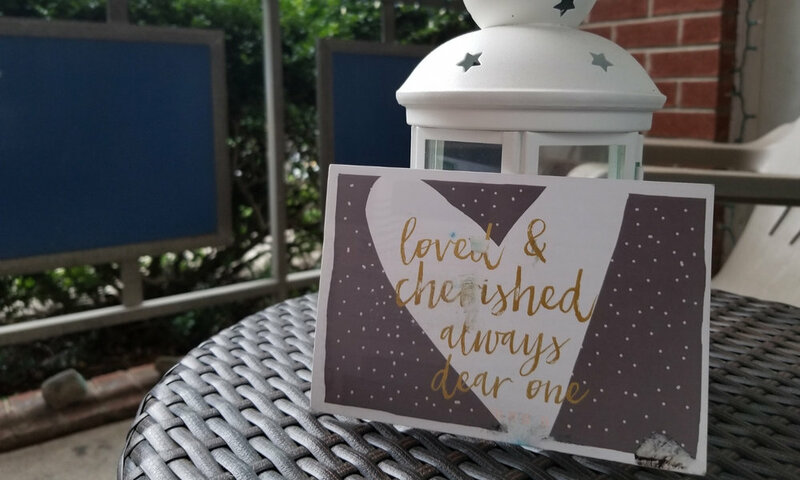 Join the Love Notes Postcard Project and connect with fellow snail mail lovers!